Damon Huffman is the owner of Fierce Athlete Sports Training here at Go Pro. He has played football for 12 years, from the youth level to college. After graduating from Plainfield Central, he joined the great United States Army Infantry, 101st Airborne Division Air Assault. He was a Division 1-A quarterback at Middle Tennessee State University. He was trained by strength and conditioning coach Robb Rodgers. 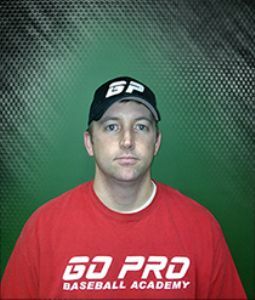 Damon has 8 years of experience training in speed and agility. He has trained high school athletes preparing for college sports. Damon views speed and agility training for sports as a must with all of the sports being coached and taught at such a high level. Speed and quickness are huge advantages in sport and need to be continually developed. Becoming more powerful and agile through movements builds confidence that can highly improve play in sport.